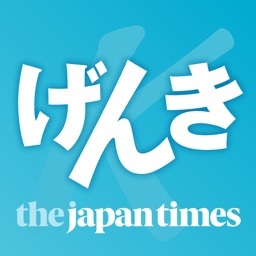 GENKI Kanji Cards by The Japan Times, Ltd.
GENKI Kanji Cards is a digital card app that helps users become able to recognize 317 basic kanji by studying more than 1,100 kanji words at their own pace! This is the second official iPhone app to be released for “GENKI: An Integrated Course in Elementary Japanese,” a best-selling series of Japanese learning materials boasting more than 1.2 million copies sold. ◆ Users can view the cards as they like, enabling them to study at their own pace. 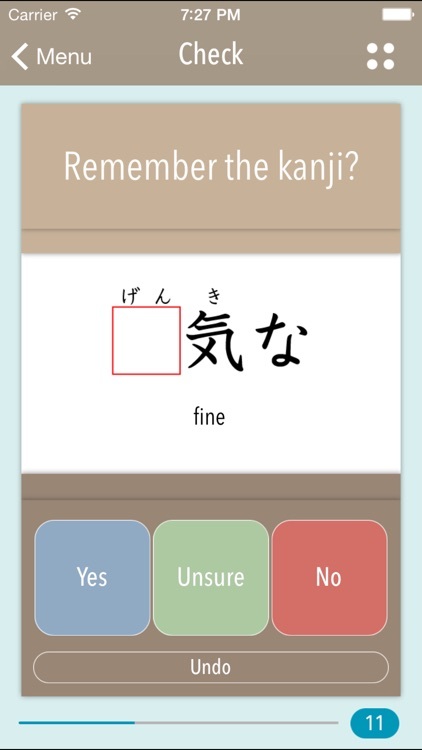 ◆ By repeating a process of memorization and self-checking, learners can master readings of kanji words and recognition of basic kanji. ◆ Cards already mastered are progressively removed from the card deck, so users can concentrate on just the kanji that challenge them, making for a more efficient approach to learning. 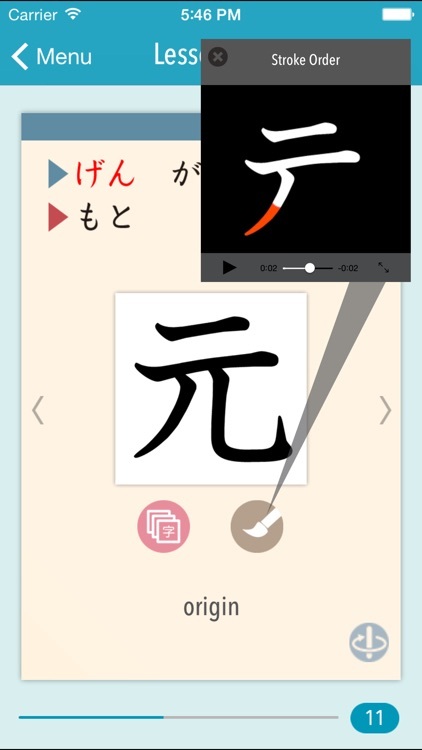 ・Users memorize the kanji by freely displaying or hiding each card’s kanji word or reading. 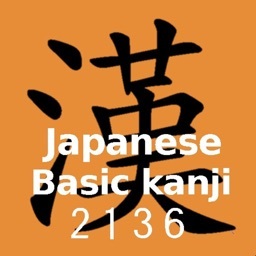 ・Basic information on the target kanji is provided on the back of each card. 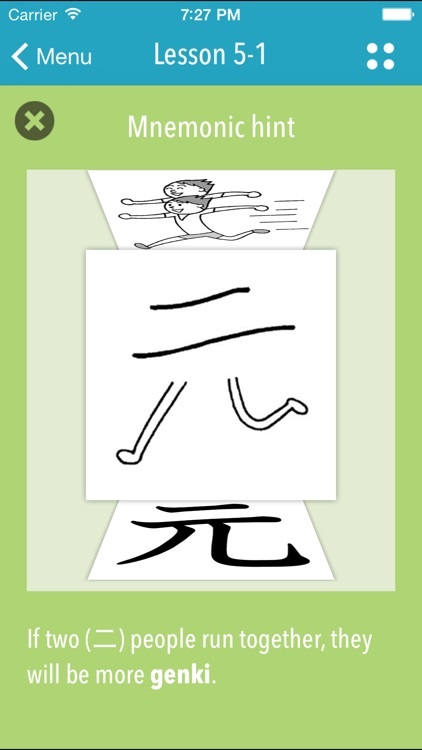 ・Fun illustrations and mnemonic hints help users to better retain the kanji studied. ・Users check their understanding of the cards studied and sort them into those mastered and those not yet retained. 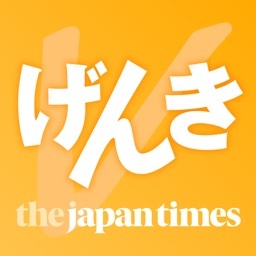 ・Retention can be checked by going from Reading to Kanji, or vice-versa. ・The cards already mastered are taken out of the set, leaving behind just those that still need to be worked on. 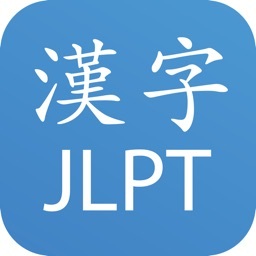 ◇ “List” displays a list of all the words and kanji covered by the app so that users can see their progress and review them. 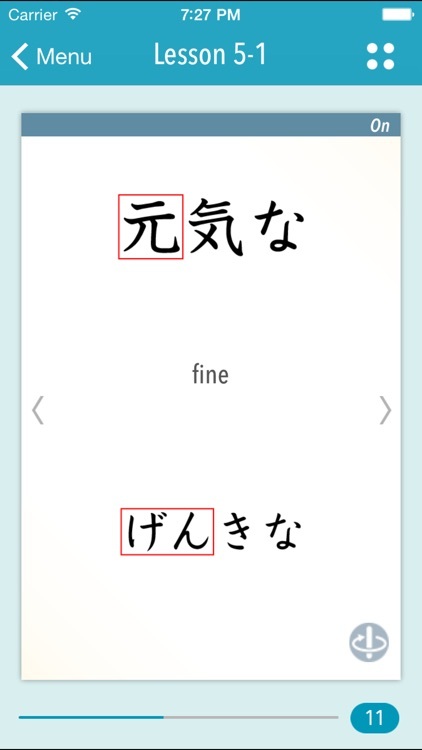 ・In the lists arranged in lesson order, a-i-u-e-o order, or alphabetical order, checkmarks are automatically placed next to words that have been mastered. The cards can be displayed from the list entries, enabling quick review. 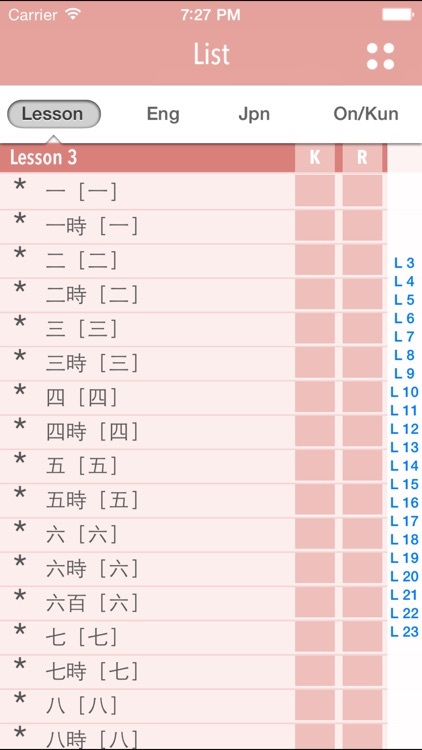 ・Kanji information on the cards can be displayed from the entries in the On/Kun list. 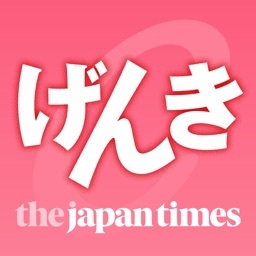 ○This app is based on the second edition of GENKI.